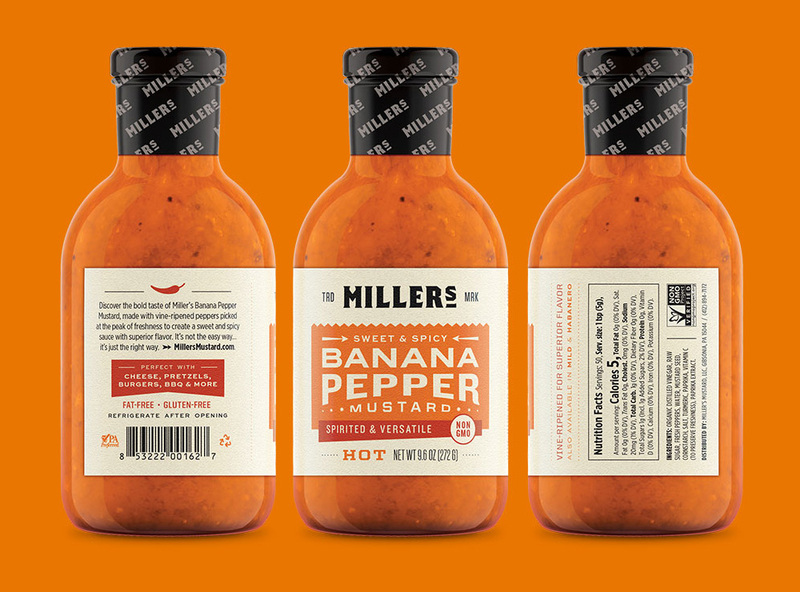 Hampton Hargreaves began by creating a new logo for Miller's that captures the bold character of their signature product. Inspired by vintage seed packs, its strong forms and angular serifs straddle classic and contemporary styles. 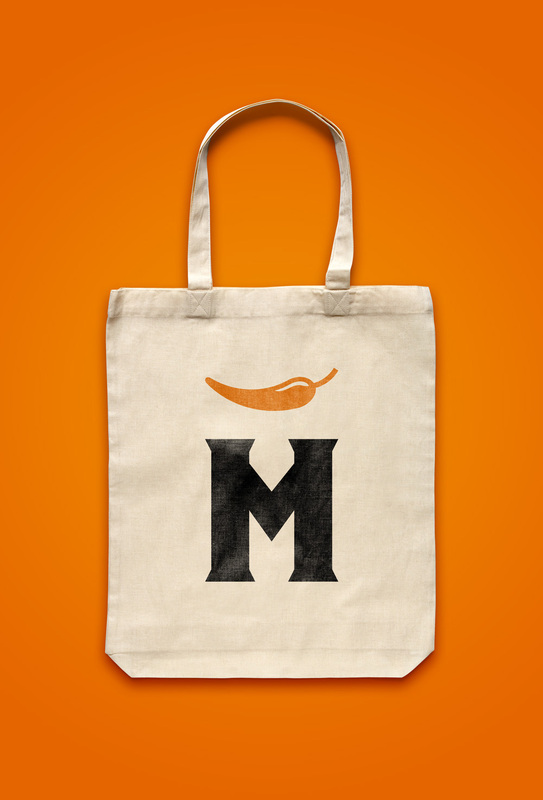 With a new identity in place, the packaging was completely rethought from shape to label. 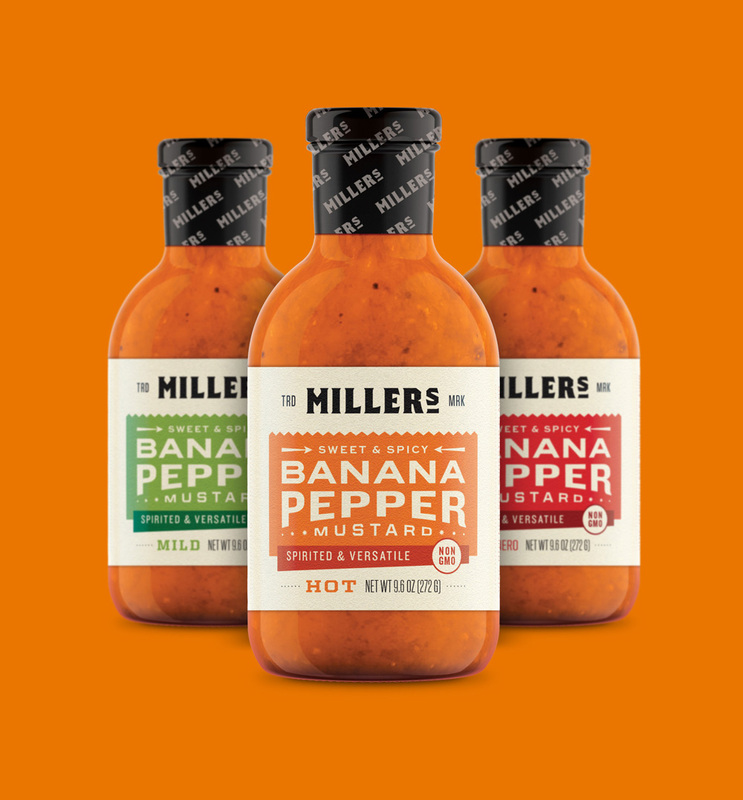 Miller's old jar was replaced with a bottle suited to pouring, promoting the sauce's use as a flavorful sandwich condiment. The additional height also allowed the product's brilliant color to shine through. 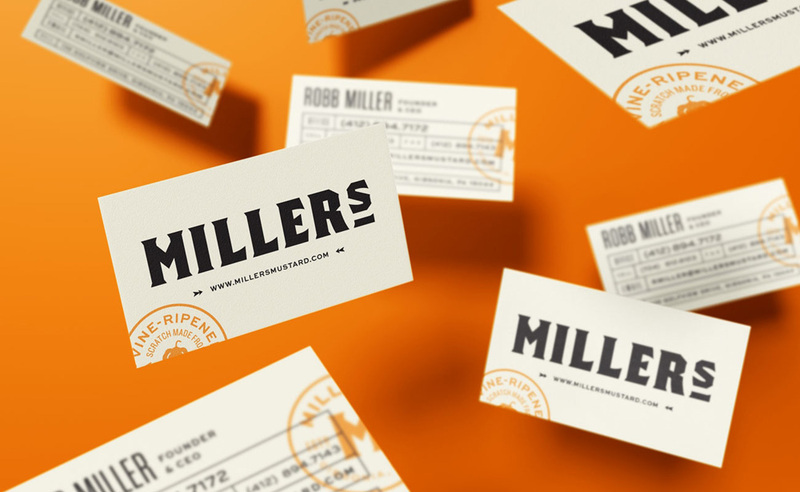 Evoking styles common to Pittsburgh's iconic Strip District and produce markets — just minutes from Miller's headquarters — brand typography is sturdy yet humble, with open, highly legible forms. Subtle motifs provide just the right amount of spice. The flexible look easily extends to additional product sizes, from samples to wholesale jugs. The old logo was charmingly naive but that didn’t take away from it being kind of crummy and looking like a tiny, homespun company. 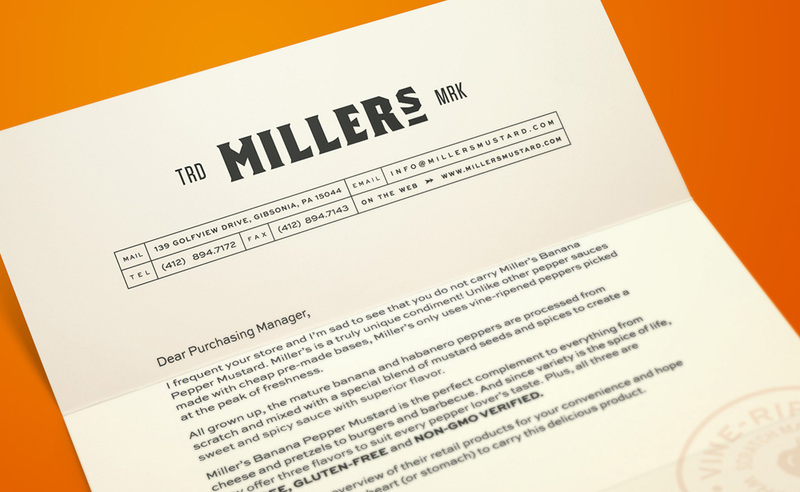 The new logo exudes much more confidence and presents a more market-ready look for Miller’s. At first glance, the new wordmark looks like yet another use of Emigre’s Brothers for a food/beverage product but this is more nuanced and has some cool traits, particularly in that “R”. I could do without the vowel-less “TRADE” and “MARK” texts to the side of the wordmark but, sure, they add some texture. The round badge logo is nice too. The packaging is a huge improvement in every respect, from bottle shape and size to changing the label’s background color from black to tan, which complements the color of the sauce much better and makes it stand out as opposed to eclipsing it. The new labels have a fun typographic texture and the color palette is spicy and appropriate. Overall, a major upgrade, no doubt, and perhaps its only drawback is that — although, yeah, it looks great — it operates more within the visual world of spicy salsas/sauces that all try to go for that rugged farm chic look. 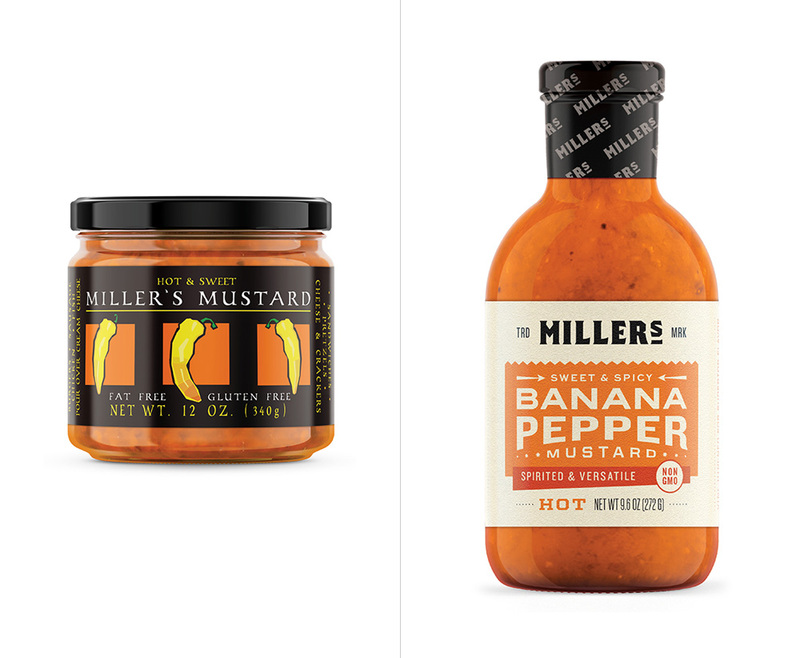 \"Miller's began in 2002 as a humble experiment. At the request of friends, our family started cooking up a few stockpots of homemade banana pepper mustard to share. The hand packed jars went quickly, with smiles all around, and it wasn't long until the idea formed to sell our unique sauce through local specialty stores. The response was overwhelming. Word of the spicy and sweet creation grew quickly in Butler County and beyond, as did sales. We soon found ourselves driving daily throughout Western Pennsylvania to deliver yesterday's batch. It was clear we had something people had been looking for -- a tangy and spicy condiment with a balance rarely found in a pepper sauce. 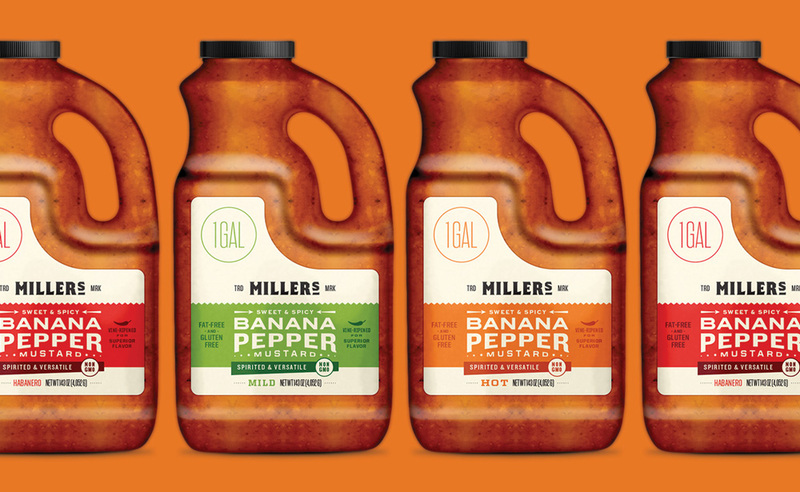 Over fifteen years later, Miller's award-winning banana pepper mustard is still crafted with the same care and attention to detail as when we first made it for our friends. From local concession stands to national grocery chains, our undeniable passion for making a quality condiment with spirit and versatility continues.\"